This set of 10 Hosco gauged double edged slotting files allow precise slotting of nuts, Tune-o-matic saddles and acoustic bridge saddles. The set covers a huge range of string gauges, slightly wider slots can be made by rocking the file from side to side when filing the slot (e.g. the .010" slot can be used for a .011" string). 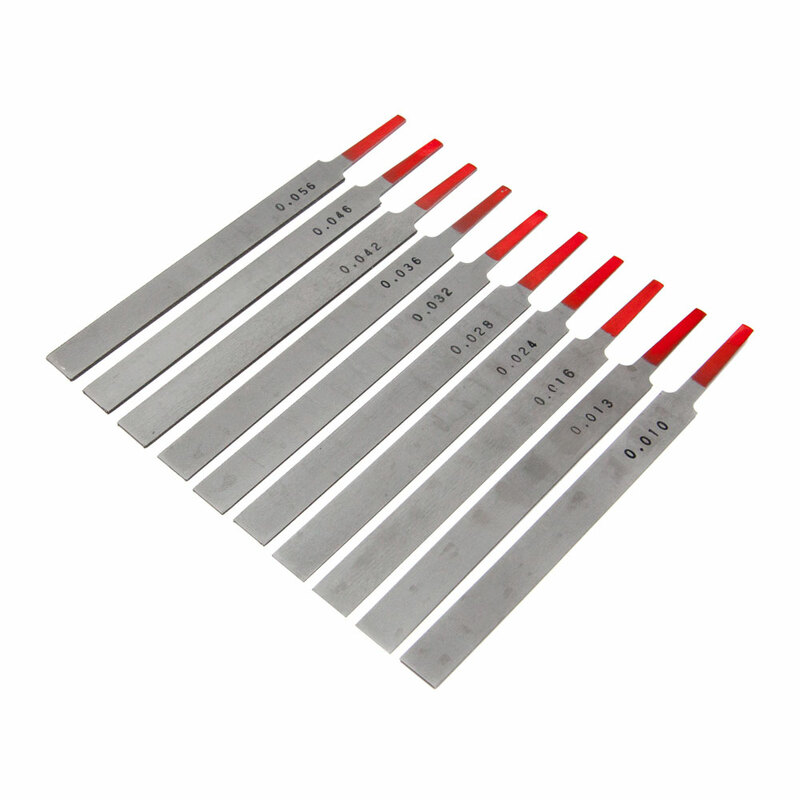 The set of 10 is made up of the following gauges .010", .013", .016", .024", .028", .032", .036", .042", .046", .056", having specific file thicknesses makes slotting work considerably quicker, easier and more accurate.